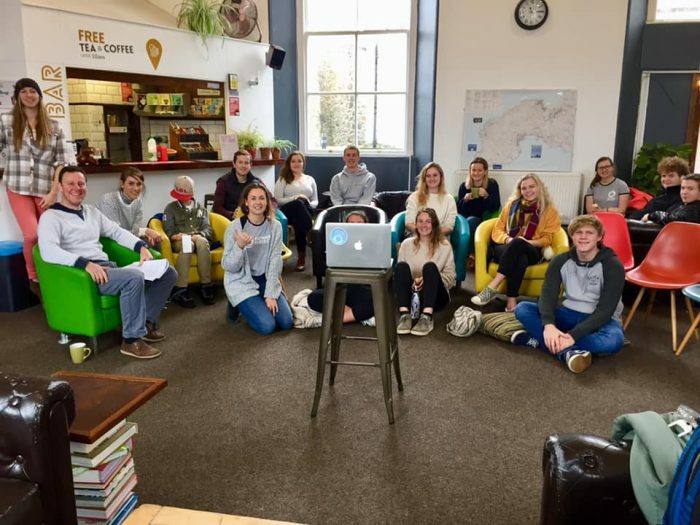 On a very rainy Saturday in January, some of the West Cornwall volunteer team gathered together to get planning on Wave Project action and events in 2019. After a healthy dose of cake, fruit and a cuppa in hand we set to discuss the year ahead and the exciting new volunteer opportunities in West Cornwall. Many of the current volunteers pictured have been helping out in the water and at events for over two years, and they can’t wait to get back in the surf together again this spring to do what they do best; make a positive difference to young people’s lives through Surf Therapy! After a positive meeting we have also set our new goals for the West Cornwall Surf Club, with lots of generous people wanting to contribute to the overall running and management, turning it into a true community club! With such a dedicated bunch of people, it is surely set to be a successful year.